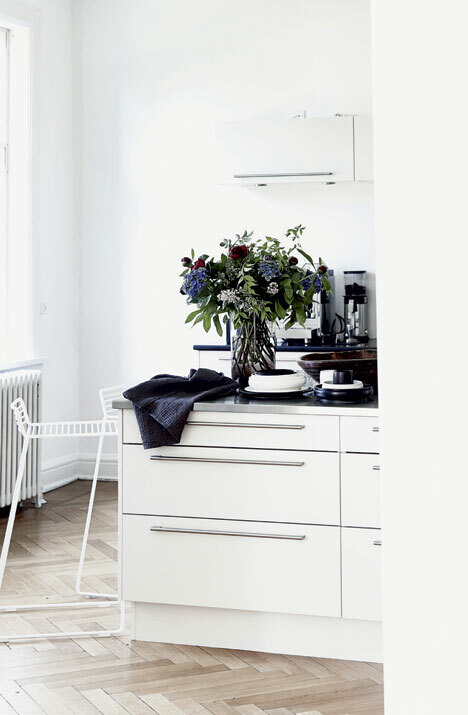 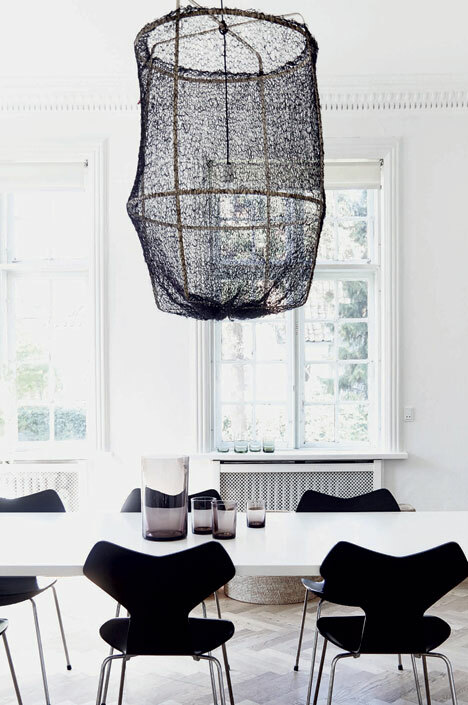 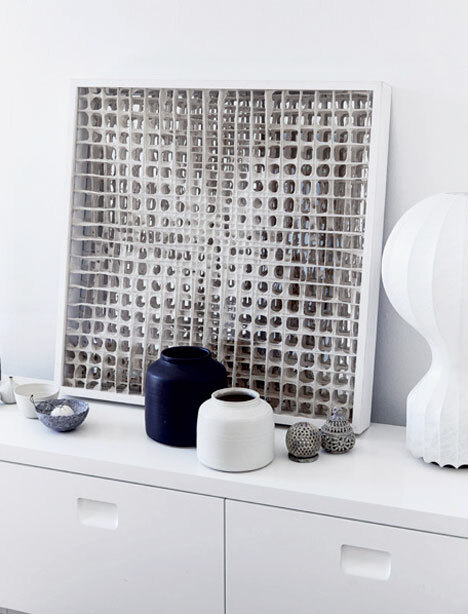 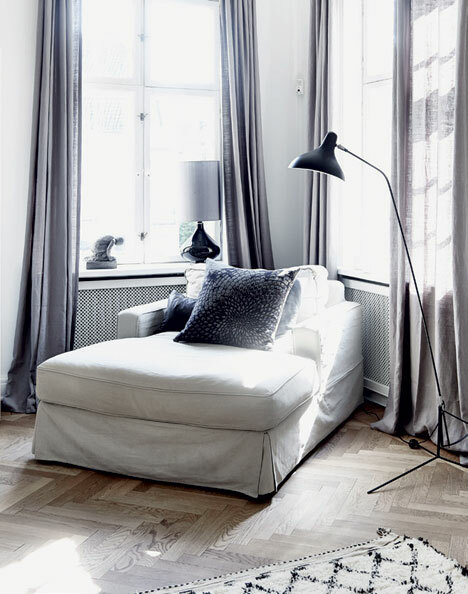 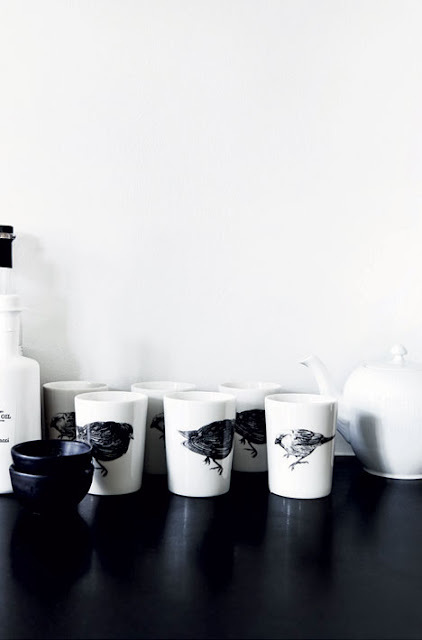 The lovely villa that Hanne Berzant, designer and owner of City Nord Copenhagen, shares with her family reflects her love of what she calls the Nordic nature, a quality that also inspires the collections she creates for her company. 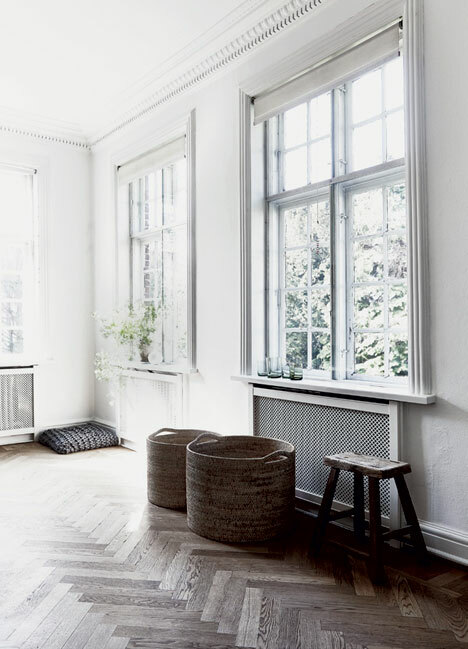 Love the serene quality of this space. More here on Boligliv. 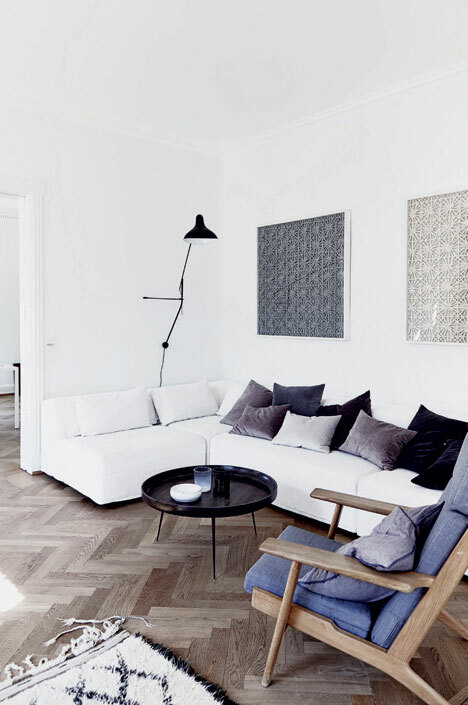 An awesome minimalist, monochromatic interior... I adore that Lamp most!